A unique organization creates illustrated interactive books for little readers. The charitable foundation Illustrated Books for Little Blind Children has been publishing and donating books for visually impaired children for 20 years. These books bring Russian and foreign folk tales to life with the help of 3D printing and music. According to the foundation’s chairman, Alexander Degen, the idea began with greeting cards and the arrival of 3D printing technology. The next logical step was to create books for small children. The books do not use Braille because small children do not yet know how to read. Books published by the foundation have special tactile elements and a magic pencil, an electronic device for reading printed microcodes to play music and text files. 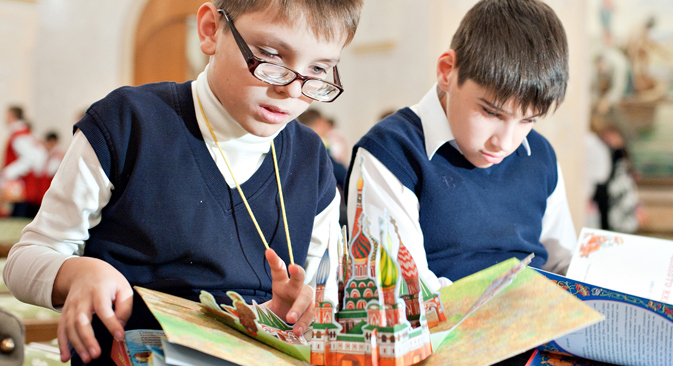 The Russian foundation, the only such organization in the world, secured the support of UNESCO, which recommended that its project should be rolled out to other countries. The foundation seeks to make sure that all its books meet the highest artistic standards so that children from an early age are used to high-quality publishing values. The foundation’s website launched a book by a group of experts in working with visually impaired children that is especially designed for parents. “This book brings together the experience of the Children’s Health Research Center and the Institute of Correctional Pedagogy, which the foundation has been successfully collaborating with for a long time. The center specializes in visual impairments in newborn babies. It turns out that unless a visually impaired baby is given proper treatment and exercise before it reaches six months, it will be impossible to restore its sight. However, if they are, there is a chance that the baby will be able to see,” Degen said. The foundation is not a commercial enterprise, so rather than selling its books in the shops, they can only be obtained by a subscription. Anybody can make a donation and help the foundation to bring joy to little blind children. Alyona Yermolayeva’s interview with Alexander Degen was originally published in Russian on the Year of Literature website.